Mold Doesn't Have To Be Scary!! 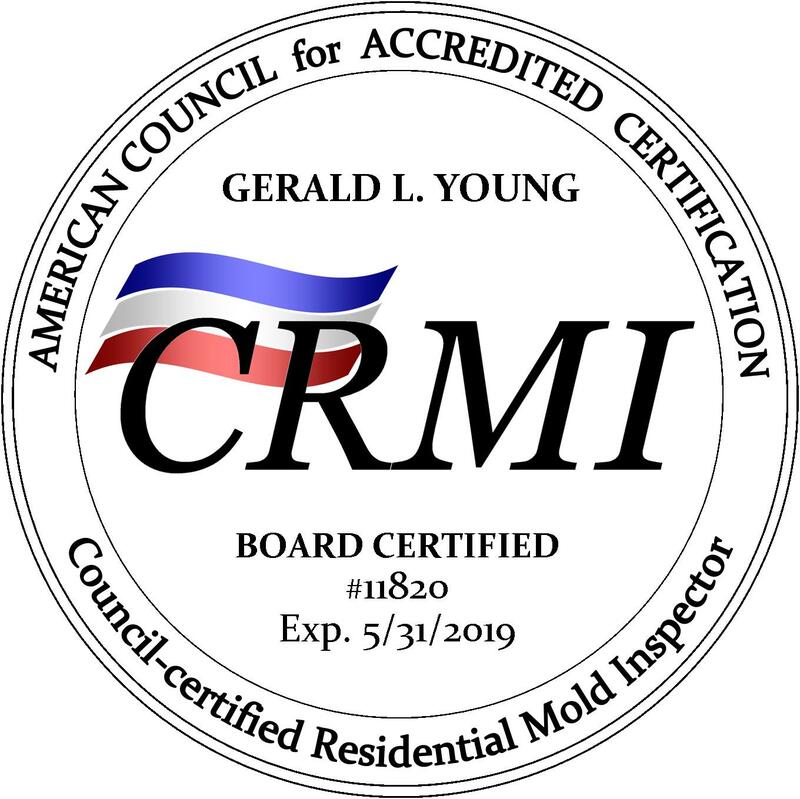 "Because It's What's Inside That Counts"
Gerald Young, owner and certified microbial investigator from several accredited organizations, offers two different levels of inspection depending upon your situation. Please call for pricing. We specialize in mold inspection and air quality services, whether it’s for a real estate transaction or just for your own peace of mind. GP Air Restoration was one of the very first companies to become certified in the industry at one of the first laboratories offering classes back in 2001 and we have been around ever since. Whether you are the current homeowner concerned with what might be going on in your home that could be contributing to health issues or if you are a prospective homebuyer, it is of the utmost importance to be assured that the home you want to be in does not have mold or other air quality problems. When it comes to our Mold Inspection Services, it’s the count of the colony forming units (CFU’s) that will make the difference in whether remediation is necessary (by a licensed, certified remediation company of your choosing) or simple cleaning procedures will remedy the problem. Please BEWARE of companies that perform mold inspections for free AND remediation services; This is a conflict of interest and often times they will give you something free because they find ways to charge you for work at a higher price. ALWAYS use a different mold inspection company than the remediation company to take air samples after the work has been done to provide you with an unbiased clearance report; assuring you the work has been done properly! If Odors are the problem, please visit our "Services" page for more information regarding ODOR REMOVAL SERVICES. A visual inspection of the indoor environment will be performed by the technician to look for all possible points of water intrusion of the home as well as humidity checks. An assessment of odors will be done by pinpointing the exact location and/or source and a treatment process will be discussed for each situation. The technician will make recommendations for necessary repairs, if any. Note: If a mold like substance is suspected, a more comprehensive survey is recommended. This survey would include indoor air quality sampling with one or some of the following (depending on the situation). Identification and analysis, as well as a report will be provided by an accredited laboratory. IMPORTANT NOTE: Should it be necessary to collect air samples, it is mandatory that two be taken. The first sample is taken outdoors to be used as a baseline to identify what molds and amounts are common in your area. The second is taken in the most suspect area of concern. Sometimes all you need is the assurance that you do not have a mold problem. Jerry’s expertise as a general contractor and microbial investigator will provide you with the knowledge you need to make important decisions and move forward. Gerald Young, our licensed and Certified Microbial Investigator/Certified Mold Inspector, has been helping people and businesses across Washington since 2001 to settle fears during real estate transactions, helping to close deals, help homeowners determine what course to take when suspected mold or other contaminants are found and what to do about it, as well as assist in odor removal services. If you are a home seller or home buyer, please take a few minutes to click on the links below for some very useful information.